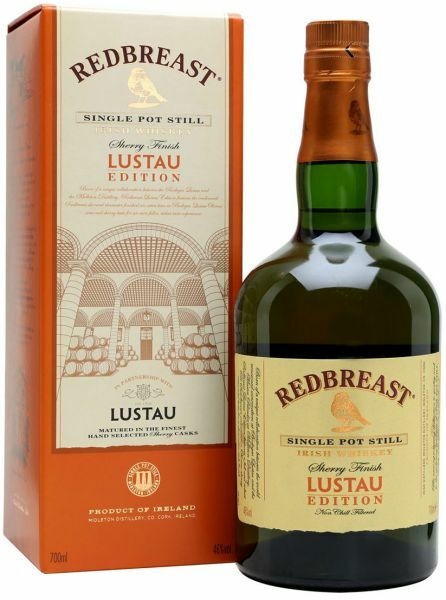 A unique collaboration between the prestigious Bodegas Lustau in Jerez, Spain and the Midleton Distillery in County Cork. Initially matured in traditional bourbon & sherry casks for a period of 9-12 years. It is then finished for one extra year in first fill sherry butts which have been seasoned with oloroso sherry from the prestigious Bodegas Lustau in Jerez, Spain. A very welcome addition the the ever expanding range of Irish Single Pot Still whiskeys.